A detachment of four Typhoon fighter jets from the RAF’s No 3 Squadron is currently working alongside the Romanian Air Force to police the skies over the Black Sea. Deployed for four months, the aircraft have been based in Mihail Kogalniceanu Airbase in south east Romania since May. This Southern Air Policing mission is the first time that NATO has deployed aircraft to the Black Sea region, with the UK being the first country on the rotation. 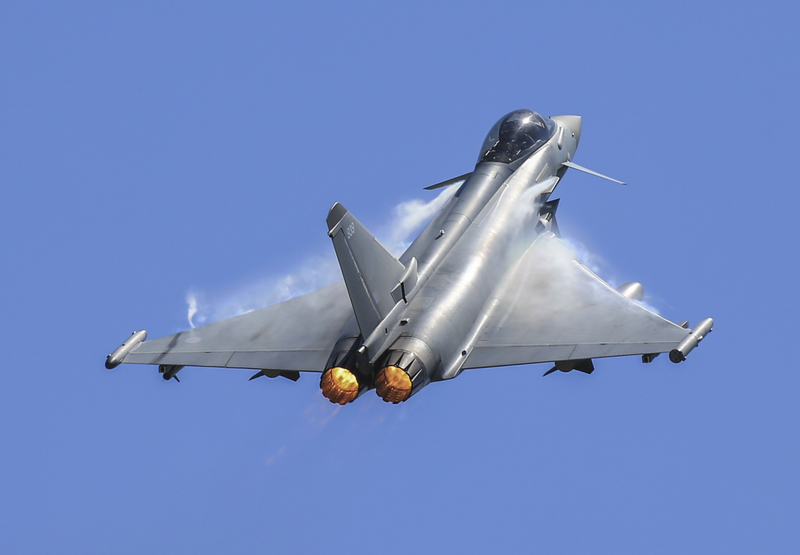 “The Typhoon’s outstanding performance and proven track record in air policing has been very well received on NATO’s southern flank. Our work there in reassuring our NATO allies and deterring any aggression is absolutely clear. 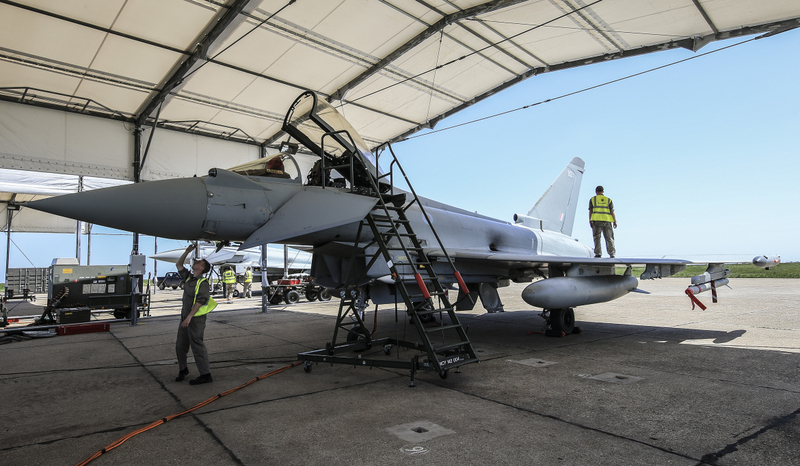 The UK has built up a wealth of experience supporting NATO air policing missions where the tempo of activity tends to be relatively demanding. “For the last three years we have deployed for a four-month period in support of NATO air policing missions and previously we have been based in both Lithuania and Estonia, supporting the Baltic States. This latest detachment comprises four Typhoon aircraft from No. 3 (Fighter) Squadron from RAF Coningsby in Lincolnshire and is supported by around 150 personnel drawn from stations across the UK. It would be nice if our Eastern European NATO allies banded together to order a common air frame for their air forces. They are in dire need of modern aircraft. Romania’s air force is still reliant on the MIG-21, with only a few used F16s being ordered to boost their capabilities. Its all very well saying that the Typhoon deployment is supporting them, but in reality their equipment is so out of date we are their air force, for four months anyway.